Looking for new Business ideas and investment opportunities in Romania? The global business world requires nowadays, that any company need to go international, otherwise they will not survive. Exploring new markets in order to increase the sales through direct export or finding a local distributor – agent, find new technologies & better suppliers, discover new business ideas, models and investment opportunities, are just few of the basic reasons to develop international business partnerships. Romania is – from all those perspectives, a perfect country to consider in your expansion plans. On our website, you can find some of the reasons of Doing Business in Romania, and you will be able to enter in direct contact with Romanian companies, business owners as well as find out fresh business ideas and investment opportunities. Entering a new European market like Romania is a step that any company should consider. 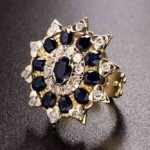 Once you have decided that you would like to expand the business in Romania, you need a business partner to help you check your findings regarding the market, introduce you to potential business partners and guide you through all the necessary steps to become operational into the Romanian market. 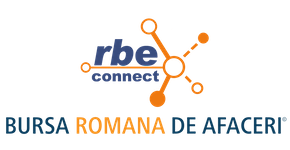 Whether it’s about entering the Romanian market as a trader – exporter, investor or any other business kind, or you simply need to make a business contact in Romania, RBE Connect is the solution to Romanian market entry for your company. 1. The first step is to get in touch with us: establish the direct communication with our market entry experts at [email protected] or through the contact form. 2. 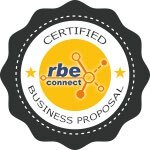 After our consultants understand from you what is the business case, our business experts will conduct one-to-one business interviews, speak directly with potential business partners that may fit to your criteria, research and identify potential customers, and conduct online research to help you pick-up the best choice for you business expansion. 3. Selecting the proper way for entering or expanding your business in a foreign market is one of the most important strategic decisions that can be made by the company. Considering all relevant factors when choosing the way you open a new market, can result in a huge competitive advantage, while taking a poor decision can put you in a difficult situation. The Romanian Business Exchange can do this analysis for you before you start spending efforts and money. Test and adapt your business ideas & concept with us, before entering the Romanian market. Contact us to get a free of charge opinion, on which strategy better fits for your company profile: direct export or distribution through a local Romanian company / partner, green field investment, find real estate investment deals, acquisition of an existing company for sale / mergers and acquisitions, licensing – franchise, joint – venture or any other form of business partnership that can increase your international presence. You can select also from the investment and business opportunities in Romania, business for sale as well as other partnership requests available on our business matchmaking platform.